It’s Not Yet Done! 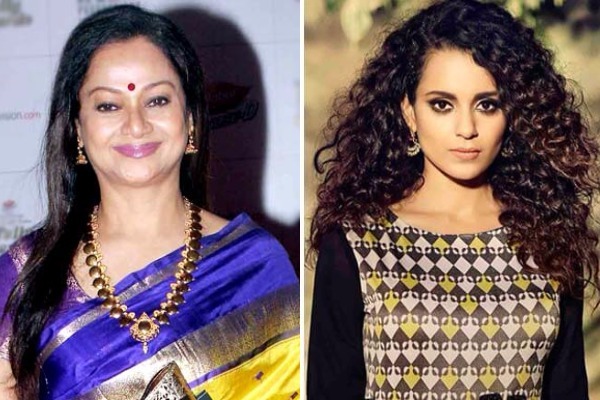 Zarina Wahab’s Explosive Comment On Husband Aditya Pancholi’s Relationship With Kangana Ranaut! Ever since Kangana Ranaut opened her controversy with Hrithik Roshan again, things have turned ugly. During her recent interview with Aap Ki Adalat, Kangana Ranaut made some startling revelations about her relationship with Hrithik Roshan. She even demanded an apology from him. Kangana, who is promoting her upcoming film, ‘Simran’ also revealed that she was abused by Aditya Pancholi during initial days of her career. She had said, “I’m a year younger than his daughter. I was a minor,” adding that she had even approached his wife Zarina Wahab for help. However, Aditya Pancholi’s wife Zarina does not want to counter the allegations. “If she (Kangana) had behaved in a more dignified way, I would have liked it. I don’t want to counter any allegations. What else can I say about it? If she found Aditya to be such a bad person why was she with him? They were together for four-and-a-half years,” she said. Well, these things are surely leading other way but also a kind of promotion for Kangana Ranaut’s upcoming film, Simran.